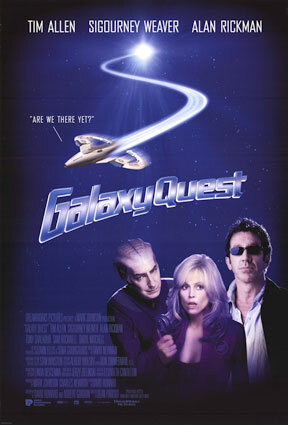 Cancelled fictional TV show Galaxy Quest may return to the medium it was never on in the first place. Deadline reports Paramount Television is putting together a series project based on the 1999 movie and involving key players from the film. The feature’s Hugo-winning screenwriter, Robert Gordon — expected to write the TV version — director, Dean Parisot, and producer Mark Johnson are anticipated to be executive producers of the potential TV series, along with Melissa Bernstein. Meanwhile, Tony Shaloub says he’d “Never say no” if there’s ever a Galaxy Quest 2.